We’re doing a series of interviews with 3D printing resellers worldwide. Resellers thrive when an industry is doing well, in charge of distributing and supporting products overseas they are a key health indicator of any industry. In 3D printing, many people have the idea that we’re seeing a sea change from simple desktop systems to a wider adoption of manufacturing in 3D printing. But, is this true? Also, what technologies and types of printers are selling in the real world? What is happening on the front lines of 3D printing? And what is happening in different countries and regions? To find out we’re interviewing Sean Looi of Creatz3D. Creatz3D has been working to support and distribute 3D printers for over 16 years, which is a very long time indeed to be active in 3D printing. The company focusses on Singapore and Vietnam and the surrounding regions. In the manufacturing heartland, Creatz3D is the leading reseller and they’ve supported the industrial side of the 3D printing equation the entire time focusing on the education and manufacturing markets. 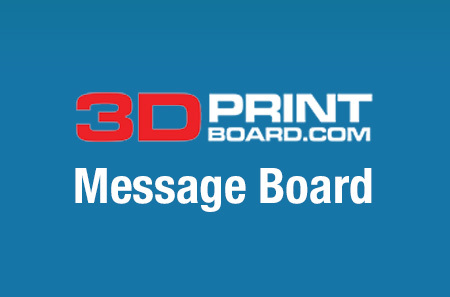 The company sells metal printers, ceramics 3D printers and polymer systems. The company sells Sisma metal 3D printers, Arcam EBM systems, Desktop Metal, the complete Stratasys line-up as well as 3D Ceram and Xjet units. What is the 3D printing market like in Singapore? The Singaporean government seems intent to promote 3D printing? Yes. The Singapore Government has actively promoted Additive Manufacturing as a form of Advanced Manufacturing, and their efforts are bearing fruit with numerous AM Companies choosing to set their Asian headquarters in Singapore. What kinds of companies are using 3D printing there? Companies of all industries are interested in Additive Manufacturing. However, not all of them have their own 3D printers, as 3D print services are readily available locally. With Singapore having never been a country with much manufacturing means, thus the majority of the workforce here has minimal exposure and experience as to what is required in the manufacturing business. So, it may take a while for companies to truly grasp what it takes to be able to print and produce a production-ready part. Is there manufacturing with 3D printing being done? Based on my knowledge, not many companies have progressed towards manufacturing with Additive Manufacturing. We have seen some of our customers embracing the technology really well by 3D printing production tools on demand and can see it trending toward this direction. That’s the goal ultimately and I believe it will happen in the future. But for now, Additive Manufacturing is widely accepted and adopted for R&D and Prototyping Applications. What is the market like in Vietnam? As a fast-growing economy within Southeast Asia, Vietnam is viewed as a manufacturing hub for many developed countries. However, most of the manufacturing is still focused on traditional manufacturing techniques and manual labor is still cheaper than automation which is a deterrent to AM progression in Vietnam. So unless this issue is addressed or companies start realizing the long-term potential of AM,there’s some way to go before they start embracing and adopting it like what Singapore has done. Is there manufacturing with 3D printers there? Based on my knowledge, not yet. But if you consider manufacturing tools on demand as part of manufacturing, then yes, but there are not many. What kind of customers do you find for your Stratasys systems? Stratasys has established themselves since the early days of Additive Manufacturing. With the repeatability of the printouts from the systems plus the huge array of materials and applications, Stratasys systems are widely adopted across all industries from R&D within research institutions down to Aerospace and Consumer Goods. 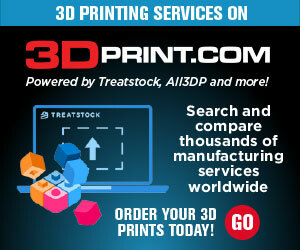 Are you noticing that people choose desktop 3D printers over industrial systems? Personally, Industrial systems focus a lot on the quality and repeatability of its’ printouts. Users who have tried hobby grade 3D printers, as well as industrial systems, would appreciate that industrial systems are significantly better in terms of ease of use, the reliability of the systems, and so on. Their work also benefits greatly from these qualities. To be able to 3D print, it is extremely easy to achieve from any low-end cheap 3D printers. But to be able to print performance parts with repeatability and expected tolerances, only the industrial 3D printers can make this happen. It is because the people who built and developed these printers understand what is required and critical in a real manufacturing environment. What kinds of companies are interested in Desktop Metal? Desktop Metal has made a lot of headlines since its launch and they are seeing increasing market adoption. Many companies in our region are showing great interest in the Desktop Metal Studio+ System but will however need to find suitable applications to justify their investments. It will be a great technology for people who have limited experience & knowledge of metal 3D printing but wants to get their hands on a metal printout, easily and quickly. XJet’s Nano Particle Jetting Technology is amazing and I’ve seen some installations in USA & Europe. Asia tends to be slow movers for newer technology, thus we will need to see the applications and usage of XJet in USA & Europe. For what applications are you seeing the Arcam systems being used? Arcam systems have always focused on 3 sectors. R&D, Aerospace and Medical Implants. Basically, applications which involve critical components using advanced materials and seek almost dense parts. Is metal much more complex than polymer? Yes. Metal is significantly more complex in the entire production process than polymer. There is, unfortunately, no one technology that fits all. So, depending on the requirements of the part, we can choose from the many types of metal printer available today. But with the advances in plastics development within 3D Printing, I believe there is a huge potential to replace numerous traditionally manufacturing metal components with polymers. It all depends on whether do we really understand what are the critical requirements to comply for the part, which most of the time we don’t. What is holding 3D printing back? Now that the 3D Printing Hype is over, the entire community has gotten over the craze of it being a revolution and a disrupter of the traditional manufacturing process. Additive Manufacturing will continue to challenge and disrupt the norm but at a slow & steady evolution pace. If I were a 3D printing OEM wanting to do business in Vietnam do you have any advice for me? Singapore? It’s important to work with a partner that is a subject expert in Additive Manufacturing. As such, users can explore potential applications and challenge technology and its capabilities. We’ve seen numerous cases where new ideas and applications are generated during discussions between users and Creatz3D.